Figure 4-31.--Work mounted on the table. 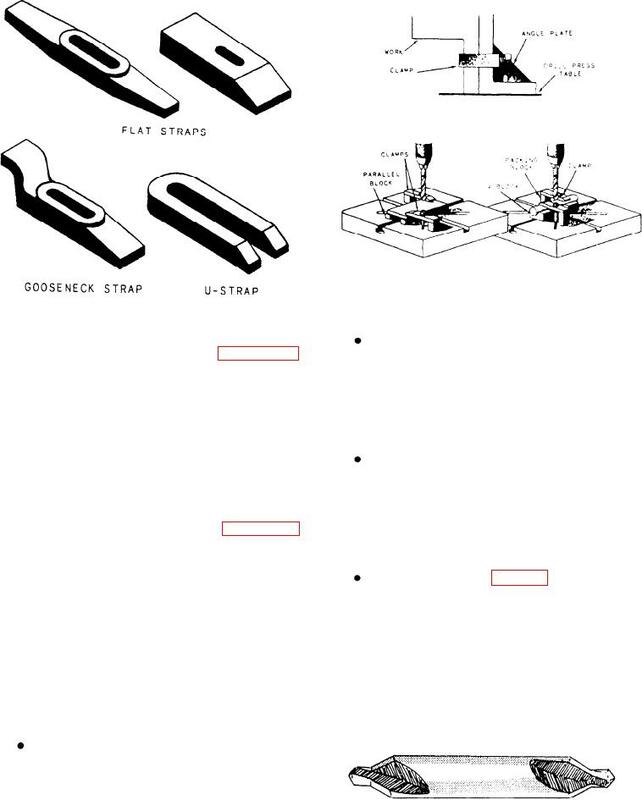 types of clamping straps, shown in figure 4-30.
setups because it has a larger range of adjustment. shows some examples of setups. Figure 4-32.--Combined drill and countersink (center drill).